Our goal is to learn during our hour of sharing while having fun. We aim to surprise you with new, relevant industry information in a way that inspires. KBtribechat is translating this onto the show floor at The Architectural Digest Home Design Show on Thursday, March 19th. Join us as we spend an hour together at in person at #ADHDS2015 being spoiled by our sponsors! Not attending the show? Tune into #KBtribechat to join in via Twitter. KBtribechat starts in the BlueStar booth (#285) at 2:30 pm eastern time. Handcrafted in Reading, Pennsylvania since 1880, BlueStar cooking products are designed for discerning home chefs who demand restaurant-quality results in their own kitchens. 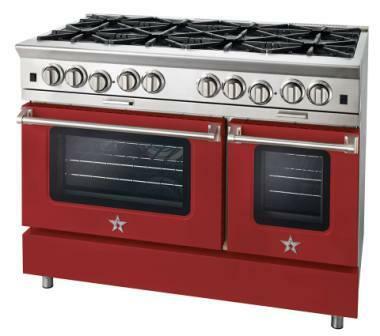 The company’s commitment to precision in form and function is why many top chefs consider BlueStar to be the world’s top-performing residential cooking equipment. 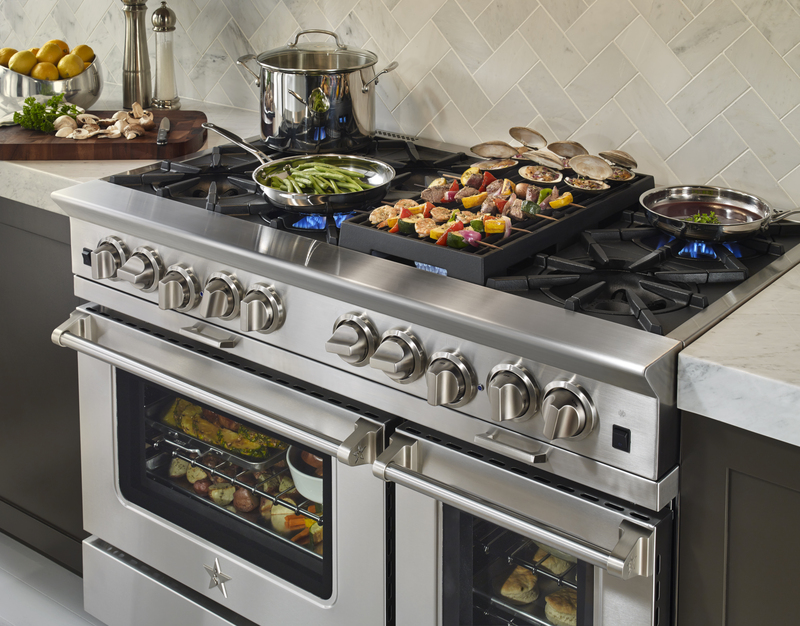 Endless configurations are available for ranges, cooktops and wall ovens, including 25,000 BTU burners, 130-degree gentle simmer burners, French Tops, griddles and even a commercial grade salamander. BlueStar also offers an unparalleled 750 colors and finishes, providing a new level of customization options for discerning design professionals. Q1) New designs take influence from fashion industry. What fashion influences do you see in K & B trends here at BlueStar? Q1a) Specifically, what types of colors, metals, textures, finish options seem to be trending? Q2) True pro appliances continue to be a theme. What BlueStar offerings complete a true chef’s home kitchen? Stop #2 – is in the Big Chill booth next door (#279) starting at 2:50 pm eastern time. 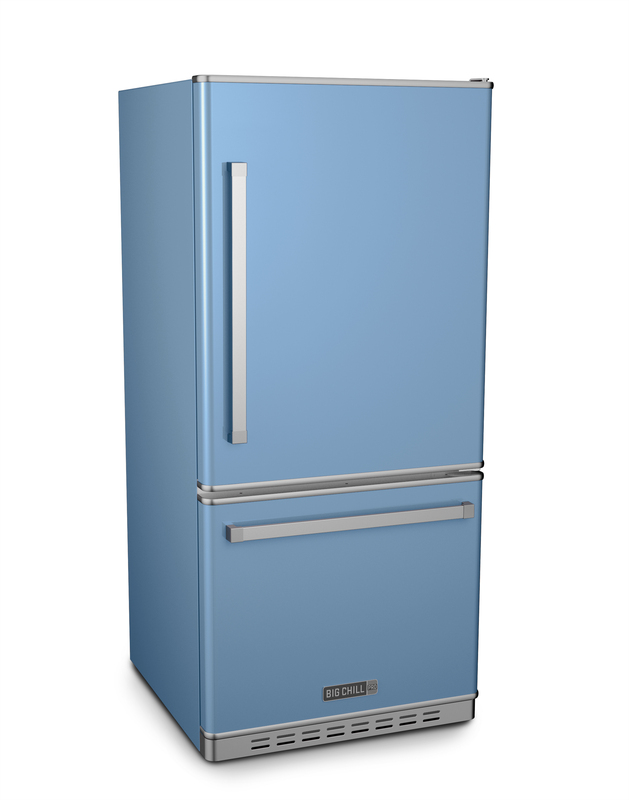 Big Chill, creator of the iconic Retro fridge, will be showcasing a series of new products and designs at Booth 279 at the Architectural Digest Home Design Show giving the industry a first-hand look at the future of design innovation in home appliances. Not only will the company be showcasing products from its original, stunning Retro line and the newly-expanded and awarding-winning Pro Line, there will be a plethora of brand new launches and concepts also on display. Q1) What are some of the more enduring and timeless trends as it relates to the kitchen? Q2) Can appliances be truly beautiful as well as functional? Share ways to make the practical, perfect, from design innovation to color. Stop #3 – follow the group to the Bauformat booth (#147). We will be there from 3:10 to 3:30 pm eastern time! 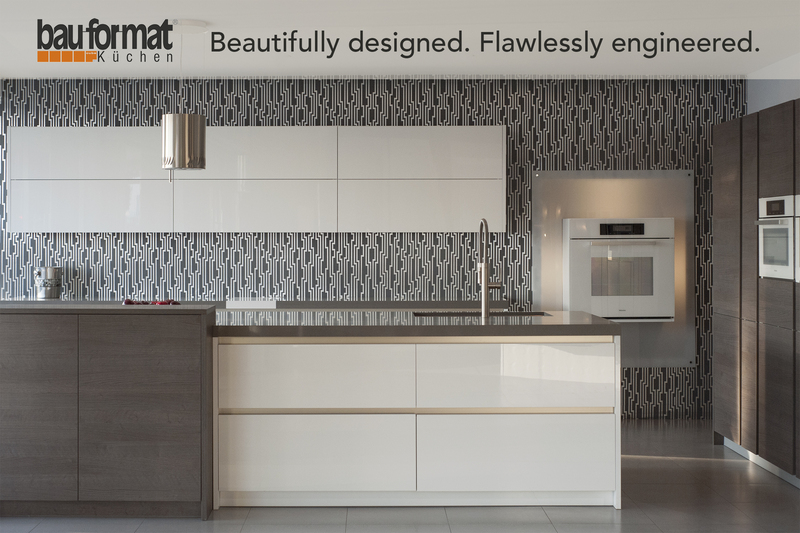 Combining a family tradition of great design and the manufacturing precision and excellence that comes from expanding an international business over eighty-five years, Bauformat is a continuing innovator in the kitchen and bath cabinetry industry around the globe. Bringing dynamic detail-oriented design to a value-driven line with a broad range of customizable options, Bauformat designers look towards the future by integrating seamless technology with an edited, modern aesthetic. Incorporating details like standard in-cabinetry lighting, sophisticated touch mechanisms like Servo Drive, and a level of detail now synonymous with German production, the team is looking towards our next leaps forward; into kitchen design. Here where function is streamlined by technology, and wrapped in exciting new engineered materials and finishes. Beautifully designed. Flawlessly engineered. Q1) Spring is here- what color trends in cabinetry will you incorporate into your designs? With so many color options in cabinetry, do you go bold, or muted? Q2) With the introduction of so many more weather-resistant materials into the market, how will you incorporate these into your outdoor living plans/designs? Happy Kitchen and Bath Month! As evidenced by rise in popularity of shows like the Next Iron Chef, the plethora of celebrity chefs, and the influx of new appliances catering to the serious home chef, the trend of creating a restaurant-quality kitchen at home is here to stay. More and more consumers are looking to design a kitchen which enables them to cook as masterfully as the pros. Of course, design is critical as well, both from an efficiency and an aesthetic perspective. For your customers that want to cook like a real pro at home plus want to make a real design statement, how do you meet their needs? Join Susan Serra, CKD and BlueStar to talk about how to create a unique, restaurant-quality kitchen at home. 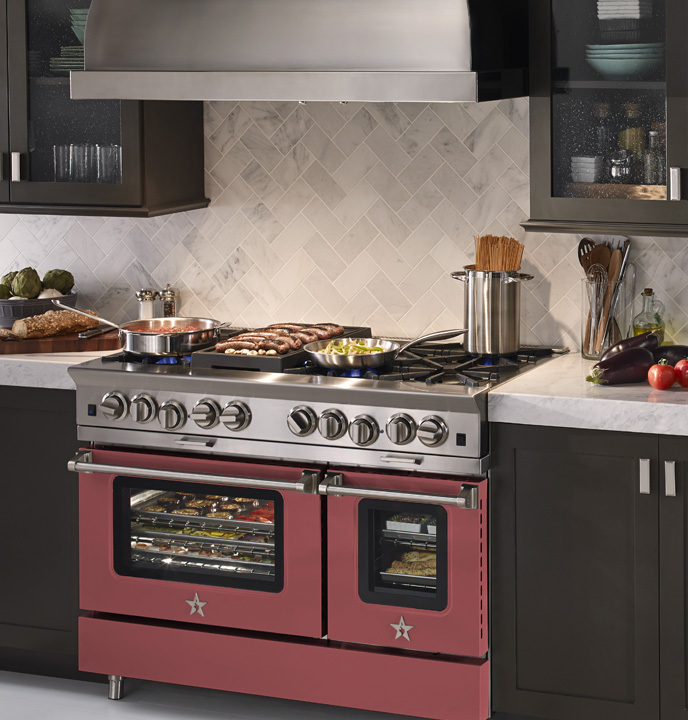 Plus, learn more about BlueStar’s new Platinum Series range, a new line of completely customizable ranges with professional features like 25,000 BTU burners and a PowR Oven. Susan Serra, CKD, CAPS, is president and founder of: Susan Serra Associates, Inc., Bornholm Kitchen and Scandinavian Made. Susan is an award winning certified kitchen designer, brand consultant, and her design work has been published widely in print and online. 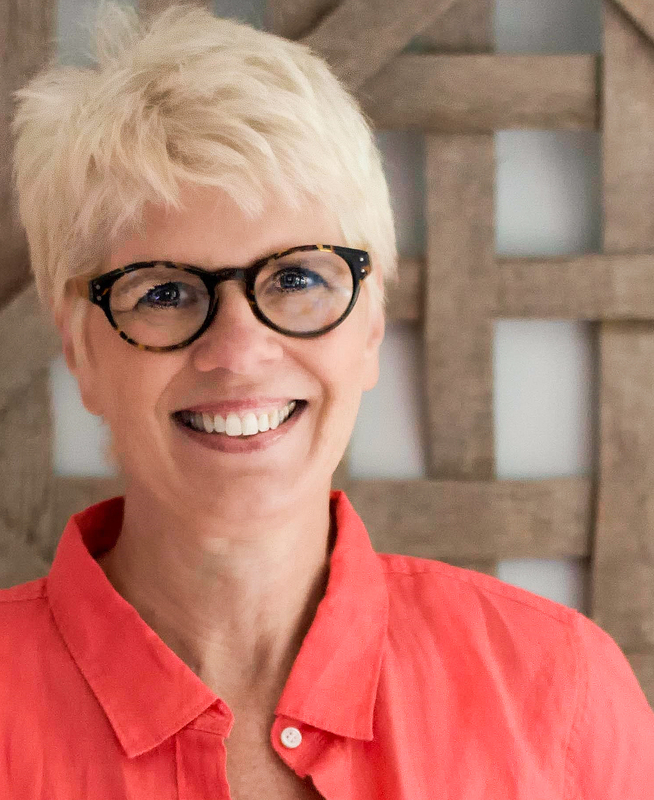 Susan travels frequently to design fairs in the U.S. and abroad, is a speaker on kitchen design and a go-to source to the media for insight and information on kitchen and bath design. Susan authors the popular blog, The Kitchen Designer. Follow Susan on Google+ , Twitter, and Pinterest.